On this date in 1528, the Augsburg Anabaptist Eitelhans Langenmantel was executed as a heretic, along with a servant and a maid. 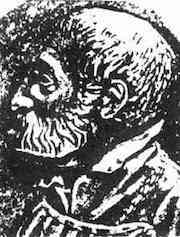 Langenmantel had used his own fortune to print several dissident tracts. His infant grandson, Daniel Hoechstetter, would eventually emigrate to Cumberland where he did honorable business for England’s Royal Mines as part of a community of German miners. Through this Anglicized descendant, Langenmantel is the maternal great great great great great great great grandfather of U.S. President and Founding Father Thomas Jefferson. 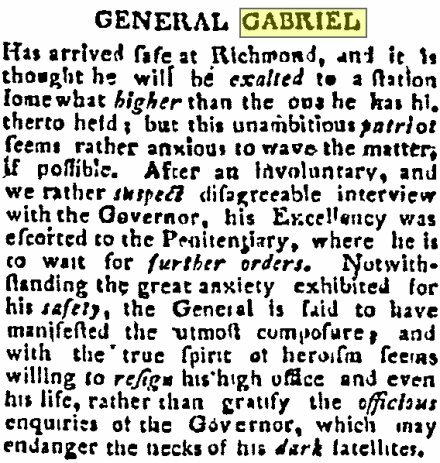 On this date* in 1800,** the Virginia slave Gabriel — sometimes remembered as Gabriel Prosser after his owner’s surname, although that wasn’t what his contemporaries called him — was hanged in Richmond, along with a number of his confederates in a planned slave rising. Gabriel and company conceived a daring revolution to seize the city of Richmond, take hostage Governor (and future U.S. President) James Monroe, and rearrange the state’s power structure. This scheme, in which the rebels actually stay in Virginia, depended on an optimistic assessment for the prospects of a multiracial alliance — with Richmond’s own poor whites, and also, according to testimony given by conspirators, with Indians and with the French in opposition to a pro-British American policy tilt. But if ever the time might have been right for such a plot, it was in 1800. A bitter presidential contest adjudicating the Republic’s most fundamental issues was unfolding; there were rumors that the governing Federalists would not voluntarily relinquish power, and the matter might fall to civil war between by the factions. Gabriel unabashedly attempted to leverage this division between whites; working as he and many other urban blacks did side-by-side with white Republican laborers — whose own interests vis-a-vis Federalist merchants were being so bitterly contested — he must have had a good vibe about the situation on the ground to gamble his life on it. Though the hope was that the white working class would join the revolt after it broke out, there were at least a few whites already initiated into the conspiracy beforehand. Alas, what broke out was not rebellion but a storm: a downpour that rained out the first planned rising, washing out bridges and roads that the conspirators were counting on to assemble. Before the makeup date could be scheduled, some slaves taking a care for their own necks had betrayed it. The public mind has been much involved in dangerous apprehensions, concerning an insurrection of the negroes in several of the adjacent counties. Such a thing has been in agitation among the blacks, principally instigated by an ambitious and insidious fellow, a slave, by the name of GABRIEL, the property of Mr. Thomas Prosser, of the county of Henrico. This villain, assuming to himself the appellation of General, through his artfulness, has caused some disturbance, having induced many poor, ignorant, and unfortunate creatures to share in his nefarious and horrid design. The plot has been entirely exploded, which was shallow; and had the attempt even been made to carry it into execution, but little resistance would have been required, to render their scheme entirely abortive. Thirty or forty of the party have been arrested and confined in jail for trial. Yesterday a called court was held for that purpose, at the court house in this city when six of them were convicted and condemned to suffer death this day at 12 o’clock. It is said that the evidence which has been procured, will go to prove nearly this whole of them guilty. To-day the court will proceed to go thro’ with the rest of the trials. It would be interesting counterfactual history to know the world in which the insurrection was actually launched — whether “but little resistance” would have sufficed to put it down. Gabriel might have reckoned naively on the prospective balance of forces,‡ but his read of the fractious alliance against him was spot-on. Maybe with a modern communications infrastructure, the affair could have become a full-blown October Surprise. The Jeffersonian party, desperate not to give its plantation supporters cause to rethink its partisan alignment, took pains to downplay what was really quite a bold conspiracy. Not for the last time, wealthy merchants (here backing the Federalists) sought their own advantage pressing the racial wedge issue — for the slaves’ prospective lower-class white allies were also part of Jefferson’s coalition. One thing all right-thinking whites could agree on was a heaping serving of scorn for “General” Gabriel. Columbian Mirror, Saturday, October 4, 1800. A few years later, an English visitor captured at second hand this indefatigable portrait of the doomed slave in his masters’ courts. In 2007, James Monroe’s (distant) successor as governor of the Old Dominion (informally) posthumously pardoned Prosser’s Gabriel. Gov. Tim Kaine’s statement on the occasion validated Gabriel’s own defense of himself. And the site of his martyrdom? Well, it’s … a good place to park. * Some sources give Oct. 7 as the date of execution; this apparently was the initial sentence of the court but delayed a few days to hang the ringleader along with others in a variety of spots around town. Virginia Argus, Tuesday, Oct. 14, 1800. † It was a slave who eventually turned in Prosser’s Gabriel … but Virginia stiffed him on the reward, handing over only $50 instead of the promised $300. ‡ Or maybe that’s just hindsight talking. 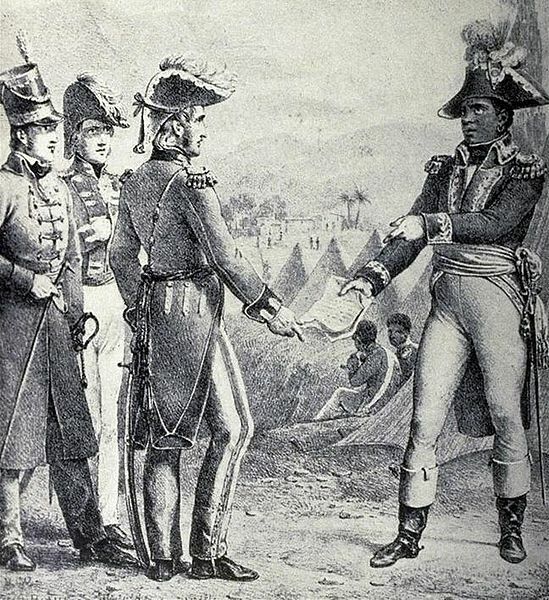 In 1800, the Haitian Revolution was underway — so who could blame slaves for thinking big? On this date in 1799, Thomas Nash was hanged in Jamaica for the bloody mutiny on the HMS Hermione. Before there was Hermione Granger, there was the HMS Hermione. Painting by Thomas Whitcombe. The Admiralty’s most notorious mutiny this side of the Bounty was actually a far bloodier affair. Dig the description from one of the conspirators who later turned state’s evidence. 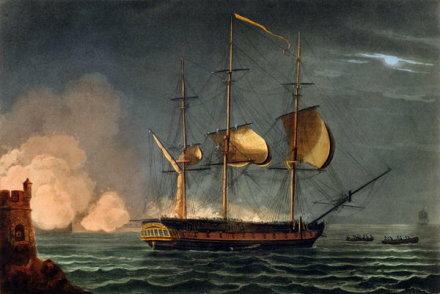 After making sharkmeat of that tyrannical captain, 27-year-old Hugh Pigot, the Hermione mutineers got drunk, and then delivered the frigate to the Spanish. A Royal Navy vessel aptly named the Surprise* was able to surprise the wayward warship and cut her out of the Venezuelan harbor Puerto Cabello. The Hermione was then aptly renamed the Retaliation (and later, Retribution). Then, the British put the ominous word into action with a global manhunt for the mutineers. Nearly thirty men ultimately hanged for the affair, though that meant that most of those involved escaped the noose. And Executed Today never** deals with the lucky ones. And so we come at last to our day’s protagonist, one of the Hermione mutineers who was at length recognized in the breakaway former British colonies now constituting themselves the United States of America. Upon catching this intelligence, British envoys demanded the extradition of this character — who now claimed to be an American citizen by the name of “Jonathan Robbins” — under the terms of the recent and controversial Jay Treaty. After several months under lock and key without any American charge against him, Robbins/Nash eventually had a habeas corpus hearing before Judge Thomas Bee, who decided† that this “American citizen” was no such thing. With an okay from the Adams administration, Bee had the man delivered to the crown. 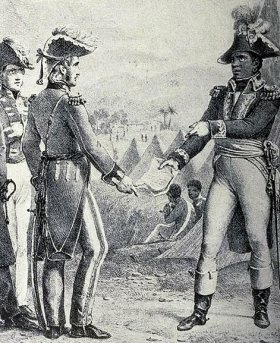 Nash was immediately shipped down to the British colony of Jamaica, put on trial on Aug. 15 (he had no defense), and hanged on Aug. 19. 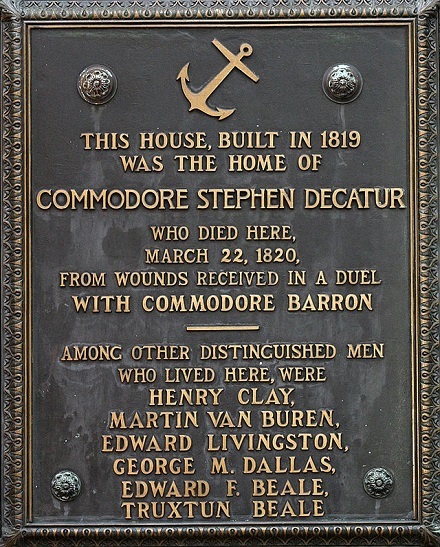 Little could the Waterford-born seaman imagine the legacy he bequeathed his fake-adopted country. The Nash extradition became a political firestorm in the U.S., with anti-British Jeffersonian Democratic-Republicans decrying the Federalist administration’s handling of the case. For the infant republic, formulating juridical precedent on the fly, this played as a separation-of-powers issue: was it within the president’s power to fulfill the treaty unilaterally, absent executing legislation passed by Congress? Was it within a judge’s purview to approve an extradition request without the constitutionally assured right to trial by jury? Virginia, the stronghold of inimical feeling to Great Britain … passed a law forbidding under heavy punishment a magistrate to be instrumental in extraditing any person out of the state. Thus desertions from British ships in a Virginian port became a regular event. Captains of British vessels sailing to United States ports in no long time would meet their men strolling in the streets, furnished with naturalization papers, who set them at defiance, for their arrest was impossible. Despite the electoral slam dunk, the real last word on the case ultimately belonged to the administration’s defenders. Among these rose in Congress a first-term — for he would only serve a single such term — member of the House of Representatives also from the Old Dominion, John Marshall. Just months later, Marshall would be one of outgoing President Adams’s “midnight judges” appointed to the federal courts: in Marshall’s case, to the U.S. Supreme Court, where his epochal 34-year term as Chief Justice would shape the future evolution of American jurisprudence. The President is the sole organ of the nation in its external relations, and its sole representative with foreign nations … He possesses the whole Executive power. He holds and directs the force of the nation. Of consequence, any act to be performed by the force of the nation is to be performed through him. This passage was exhumed from Congressional archives for citation in a 1936 Supreme Court case on federal supremacy, and has proceeded thence into a go-to bullet point for every latter-day defender of any arbitrary executive authority. Of consequence (as Marshall might put it), Marshall’s speech about Nash gets an approving reference in Bush administration lawyer — and possible future extradition subject? — John Yoo‘s September 25, 2001 memorandum on “The President’s Constitutional Authority to Conduct Military Operations Against Terrorists and Nations Supporting Them”. So in this imperial age, Thomas Nash is more with us than ever he was. Who knows but what noxious monarchical theories are even now being buttressed with footnotes resolving to the vindictive execution of that obscure mariner two centuries past? * The Surprise features prominently in novelist Patrick O’Brian‘s beloved Aubrey-Maturin series of nautical adventure novels, the most widely recognized of which is Master and Commander. Given the vessel’s centrality in this popular series, there’s a book all about the colorful history of the Surprise. 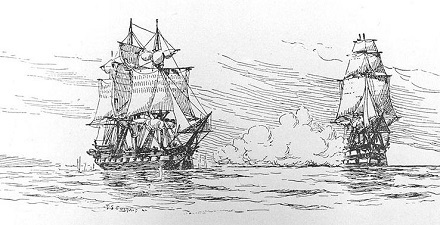 In reality, the Surprise — actually a captured French ship herself — was sold out of the service in 1802, prior to the notional 1805 setting of both the cinematic Master and Commander: The Far Side of the World and the book in the series when Jack Aubrey first commands her. † Rightly, it’s generally presumed; “Robbins” is alleged (albeit by his self-interested executioners) to have confessed to being Nash before his execution. This entry garners the Wrongful Execution tag on the basis of its contested American jurisprudence. ‡ The limited aim of Marshall’s speech in context, and its subsequent (mis)appropriation, is the subject of an interesting and accessible-to-laypersons law review article here. (pdf) This tome gets a bit more into the weeds on the way the separation of powers operated practically as the Nash case unfolded in Judge Bee’s court.